One of the most valuable gifts you can offer Share Our Spare is your time. We believe that change agents come in all ages—in fact, some of our volunteers are as young as six years old. 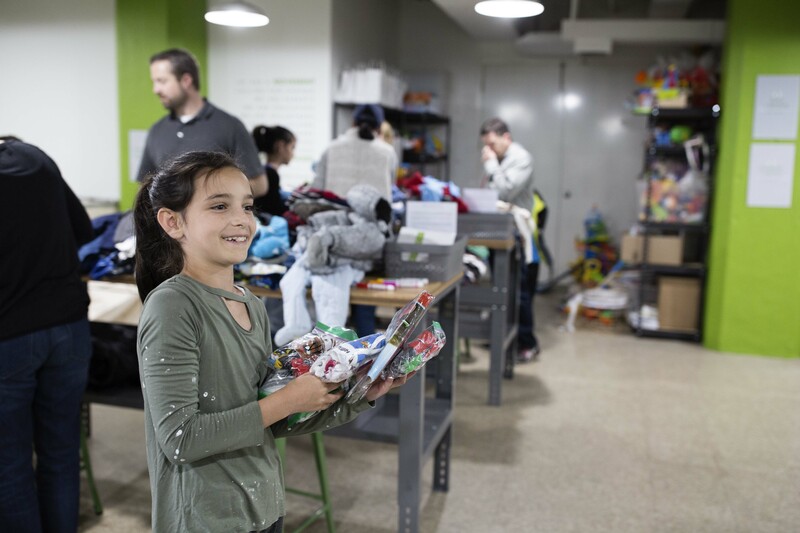 We offer many family-friendly opportunities that help teach children how meaningful it can be to give back to the community, like helping to sort donations or assemble kits for newborn babies. We also welcome groups large or small who want to volunteer as a team. We can accommodate groups of up to 20 people, and the typical time commitment is 90 minutes. 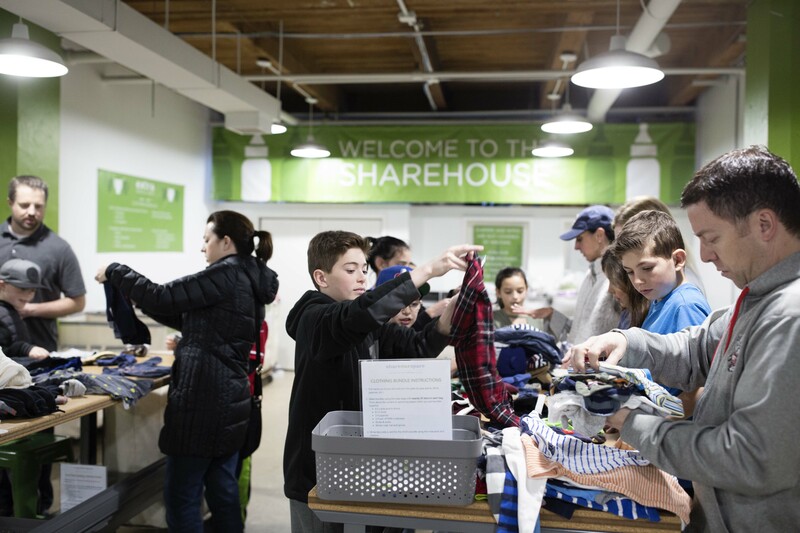 Open | Family Volunteer Days – Individuals and families with children ages 6 and above are invited to the Sharehouse to sort clothing, inventory donations and assemble newborn and personal care kits. Markers, crayons, and notepaper are provided for children to write a special note to the child or family receiving the SOS kit. Volunteers are asked to bring an item to donate. Sip N Sorts – Sip N Sort events offer an opportunity to bring friends and family together for a fun night out while giving back. 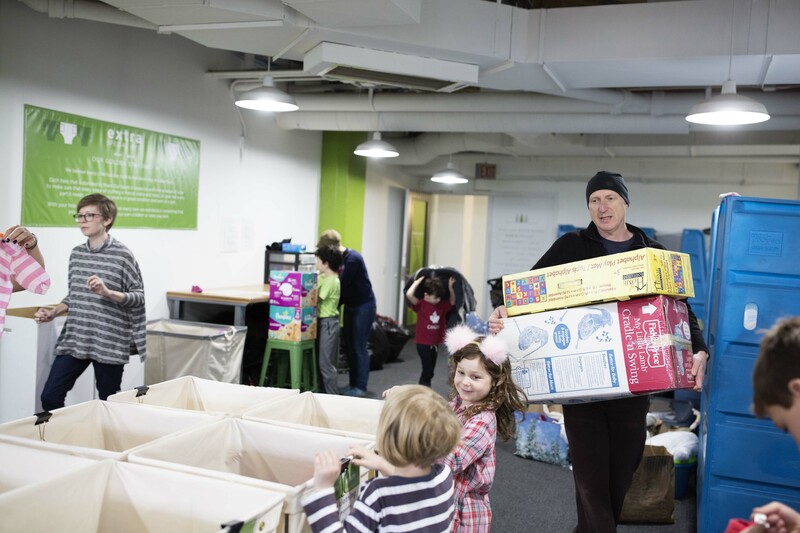 Bring a bottle of wine and a group to the Sharehouse to sort, organize and assemble kits for Chicago area families in need. Each member of the group is asked to bring an item to donate. Corporate Events – Share Our Spare is happy to welcome corporate groups to the Sharehouse who want to volunteer as a team. We will work with your group to plan an event that aligns with your goals for charitable giving, team-building, and giving back to the community. Volunteers are asked to bring an item to donate or host an on-site collection drive prior to the event. Leadership Councils – Community members and volunteers who are looking for elevated opportunities to support Share Our Spare are invited to apply to our Advisory Council or the Junior Board as appropriate. SOS Ambassadors – SOS Ambassadors are core supporters of Share Our Spare and are highly trained to host volunteer events, staff drop off days at the Sharehouse, or support other engagement opportunities. Family Advocacy Initiative – Share Our Spare seeks to be a city-wide leader in advocating for children by building a sustainable network of stakeholders across Chicago to not only meet the immediate needs of children and families living in poverty but to advocate for policies that break the cycle of generational poverty that creates these conditions. Follow us on social media for active alerts. If you are interested in learning more please email: info@shareourspare.org.